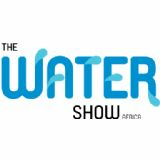 The Water Show Africa will bring together thousands of industry professionals to share ideas on the latest innovations on water scarcity and the entire energy value chain. The show maximizes learning through; keynote speakers, regional project case studies, roundtable discussions and on-floor seminars. The show presents a lucrative opportunity for the continent's foremost solution providers to meet new customers and to grow their client base in Africa.